Photos show a variety of different protocols including hot stone, high intensity G5 and other mobility techniques. What is our FASCIAL MAKEUP? MYO-FASCIAL RELEASE MASSAGE helps restore your mobility and flexibility and improves your lymphatics (immune system). This is a machine used by massage therapists that moves along the top of the skin while sucking up the tissue below to allow water absorption and renew blood flow to undernourished and dehydrated tissue as well as the elimination of old waste and congestion. This is wonderful for releasing soft tissue, scars and restricted fascial areas. The non-invasive technique uses specifically designed stainless steel instruments to identify and treat areas exhibiting soft tissue fibrosis or chronic inflammation. 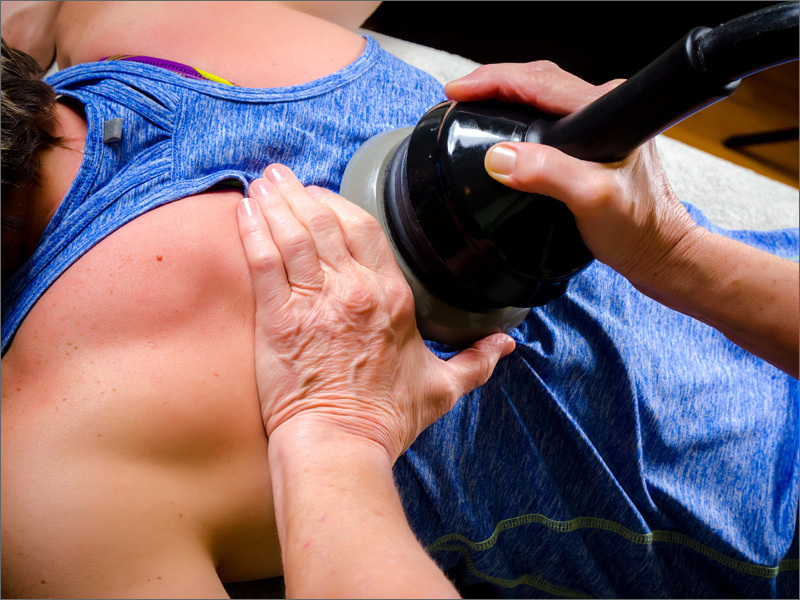 Graston Technique enables therapists to address scar tissue, fascial restrictions and range of motion limitations..